Healing touch and massage both increase cancer pain? The authors of this paper wanted to establish and compare the effectiveness of Healing Touch (HT) and Oncology Massage (OM) therapies on cancer patients’ pain. They conducted pre-test/post-test, observational, retrospective study. A total of 572 outpatient oncology were recruited and asked to report pain before and after receiving a single session of either HT or OM from a certified practitioner. 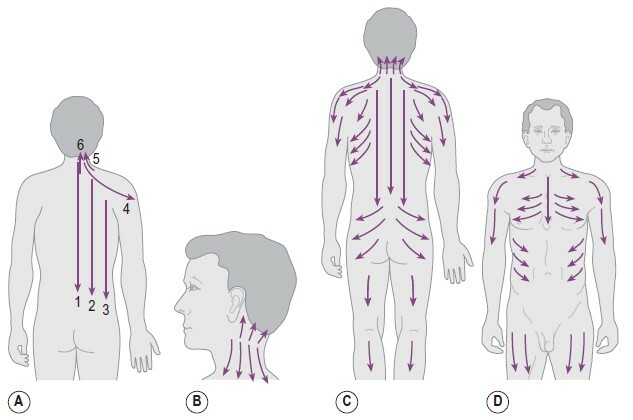 Both HT and OM significantly reduced pain. Unadjusted rates of clinically significant pain improvement (defined as ≥2-point reduction in pain score) were 0.68 HT and 0.71 OM. Adjusted for pre-therapy pain, OM was associated with increased odds of pain improvement. For patients with severe pre-therapy pain, OM was not more effective in yielding clinically significant pain reduction when adjusting for pre-therapy pain score. 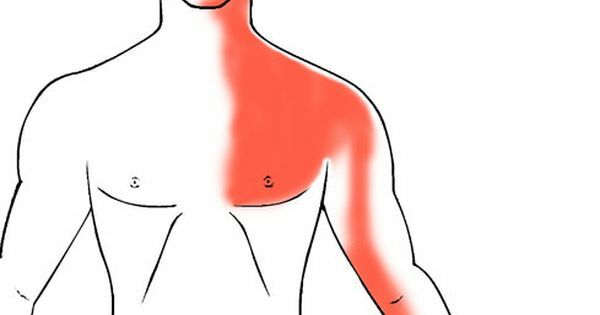 The authors concluded that both HT and OM provided immediate pain relief. Future research should explore the duration of pain relief, patient attitudes about HT compared with OM, and how this may differ among patients with varied pretherapy pain levels. This paper made me laugh out loud; no, not because of the ‘certified’ practitioners (in the UK, we use this term to indicate that someone is not quite sane), but because of the admission that the authors aimed at establishing the effectiveness of their therapies. Most researchers of alternative medicine have exactly this motivation, but few make the mistake to write it into the abstract of their papers. Little do they know that this admission discloses a fatal amount of bias. Science is supposed to test hypotheses, and researchers who aim at establishing the effectiveness of their pet-therapy oust themselves as pseudo-researchers. It follows that – just as with the study discussed in the previous post – the conclusion is wholly misleading. In fact, the data are consistent with the hypothesis that HT and OM both aggravated the pain (the results might have been better without HT and OM). The devils advocate concludes that both HT and OM provided an immediate increase in pain. 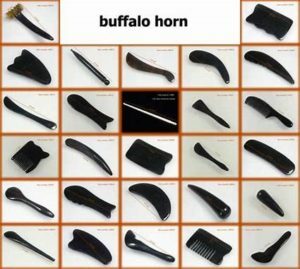 As you know, my ambition is to cover all (or at least most) alternative methods on this blog _ by no means an easy task because there is a sheer endless list of treatments and a sizable one of diagnostic techniques. One intervention that we have not yet discussed is ZERO BALANCING. 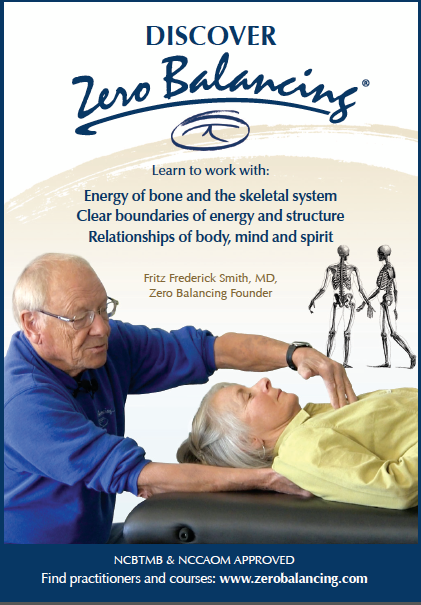 Developed by Fritz Smith, MD in the early 1970s, Zero Balancing is a powerful body-mind therapy that uses skilled touch to address the relationship between energy and structures of the body. Following a protocol that typically lasts 30 to 45 minutes, the practitioner uses finger pressure and gentle traction on areas of tension in the bones, joints and soft tissue to create fulcrums, or points of balance, around which the body can relax and reorganize. Zero Balancing focuses primarily on key joints of our skeleton that conduct and balance forces of gravity, posture and movement. By addressing the deepest and densest tissues of the body along with soft tissue and energy fields, Zero Balancing helps to clear blocks in the body’s energy flow, amplify vitality and contribute to better postural alignment. A Zero Balancing session leaves you with a wonderful feeling of inner harmony and organization. Did I just say ‘fairly well’? I retract this statement. 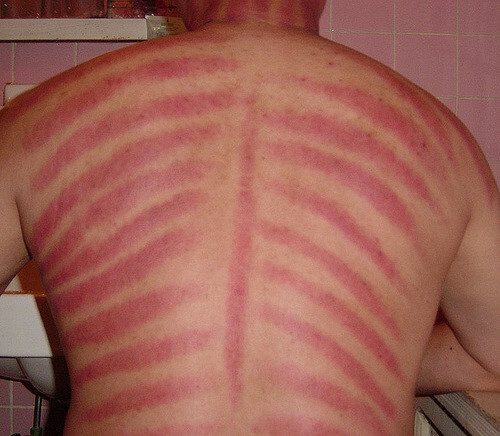 Zero Balancing turns out to be one of the more nebulous alternative treatments. These claims are testable, and we must, of course, ask by what evidence they are being supported. I did a quick Medline-search to find out. … now the rather odd name of the treatment begins to make sense: ZERO BALANCING, ZERO EVIDENCE. Daniel P Wirth used to be THE star amongst researchers and proponents of paranormal healing. About 15 years ago, there was nobody who had published more studies of it than Wirth. The extraordinary phenomenon was not just the number of studies, but also the fact that these trials all reported positive findings. At the time, this puzzled me a lot. I had conducted two trials of paranormal healing myself; and, in both, cases the results had turned out to be negative (see here and here). Thus I made several attempts to contact Wirth or his co-authors hoping to better understand the phenomenon. Yet I never received a reply and became increasingly suspicious of their research. In 2004, it was announced that Wirth together with one of his co-workers had been arrested and later imprisoned for fraud. Several of his 20 papers published in various journals were subsequently withdrawn. I remember writing to several journal editors myself urging them to follow suit so that, in future, the literature would not be polluted with dubious studies. Eventually, we all forgot about the whole story. 1 Does prayer influence the success of in vitro fertilization-embryo transfer? Report of a masked, randomized trial. J Reprod Med. 2001 Sep;46(9):781-7. Erratum in: J Reprod Med. 2004 Oct;49(10):100A. Lobo, RA [removed]. 2 Multisite electromyographic analysis of therapeutic touch and qigong therapy. Wirth DP, Cram JR, Chang RJ. J Altern Complement Med. 1997 Summer;3(2):109-18. 3 Multisite surface electromyography and complementary healing intervention: a comparative analysis. J Altern Complement Med. 1997 Winter;3(4):355-64. 4 Wound healing and complementary therapies: a review. Wirth DP, Richardson JT, Eidelman WS. J Altern Complement Med. 1996 Winter;2(4):493-502. Review. 5 The significance of belief and expectancy within the spiritual healing encounter. Soc Sci Med. 1995 Jul;41(2):249-60. 6 Complementary healing intervention and dermal wound reepithelialization: an overview. 7 The psychophysiology of nontraditional prayer. 9 Multi-site electromyographic analysis of non-contact therapeutic touch. Of these 9 papers, only the first one in the list carries a note indicating that the paper has been removed. In other words, 8 of Wirth’s articles are still available as though they are fine and proper. What is even worse, Wirth’s papers continue to get cited. In other words, Wirth’s research lives on regardless of the fact that it is highly dubious. In my view, it is long over-due for all journal-editors to fully and completely delete Wirth’s dubious papers. This is particularly true since several experts have alerted them to the problem. Furthermore, I submit that failing to take action amounts to unethical behaviour which is quite simply unacceptable. Samuel Hahnemann published a lot, but his main ideas about homeopathy are summarised in his ‘Organon‘ which has thus become ‘the bible’ for all homeopaths. They regularly refer to this book, yet I sometimes get the impression that many of them have even read it. I did! Most recently, I re-studied it when writing my own book ‘HOMEOPATHY, THE UNDILUTED FACTS‘. And I have to say, it is rather boring, full of contradictions and obsolete nonsense. In no way whatever can [a] disease itself be recognized. …if an acute infection attacks an organism already suffering from a similar acute disease, then the stronger infection uproots the weaker entirely and removes it homoeopathically. …diseases are only destroyed by similar diseases. If dilution is also employed… an excessive effect is easily produced. …a single drop of a tincture to a pound of water and shaking vigorously… will produce more effect than a single dose of eight drops of the tincture. …this action must be called spirit-like. For homeopaths, these quotes (should) depict some of the central assumptions of homeopathy. For non-homeopaths, they are just gibberish that makes no sense whatsoever. Time has moved on, and most of us have moved with it. Yet homeopaths still live by (and from) the errors of 200 years ago. Hahnemann died on 2 July 1843 in Paris. I don’t want to be disrespectful, but perhaps we should, in future, rather celebrate this date? It could be a celebration of the progress we made since (and because) we have recognised Hahnemann’s errors. Cesare Mattei (1809–1896), an Italian count, was interested in homeopathy. Mattei believed that fermented plants gave off ‘electrical’ energy that could be used to cure illness. He also believed that every illness had a cure provided in the vegetable kingdom by God. He began to develop his system from 1849. The large bottles are labelled ”Red”, ”Green”, “White”, “Yellow” and “Blue” so the actual ingredients remained a secret. Ointments were made up with ingredients from the small and large bottles. The vial labelled “Canceroso 5” was used for bruises, cancers, chilblains, hair loss, skin diseases and varicose veins, among other conditions. Although dismissed by the medical profession as quackery, Mattei’s system was popular. It formed part of the treatment at St Saviour’s Cancer Hospital in London from 1873. The electrohomeopathic system is an invention of Count Mattei who prates of “red”, “blue”, and “green” electricity, a theory that, in spite of its utter idiocy, has attracted a considerable following and earned a large fortune for its chief promoter. Notwithstanding criticisms, including a challenge by the British medical establishment to the claimed success of his cancer treatments, electrohomeopathy (or Matteism, as it was sometimes known at the time) had adherents in Germany, France, the USA and the UK by the beginning of the 20th century; electrohomeopathy had been the subject of approximately 100 publications and there were three journals dedicated to it. As to the nature of his remedies we learn … that … they are manufactured from certain herbs, and that the directions for the preparation of the necessary dilutions are given in the ordinary jargon of homeopathy. The globules and liquids, however, are “instinct with a potent, vital, electrical force, which enables them to work wonders”. This process of “fixing the electrical principle” is carried on in the secret central chamber of a Neo-Moorish castle which Count Mattei has built for himself in the Bolognese Apennines… The “red electricity” and “white electricity” supposed to be “fixed” in these “vegetable compounds” are in their very nomenclature and suggestion poor and miserable fictions. Electro Homeopathic remedies tone up the brain and the nerves through which overall body processes are controlled and strengthen the digestion process. The tablets provide food for the red blood cells and provide nourishment for the white corpuscles of the lymph and the blood. They provide the useful elements to the plasma of the blood and provide required nutrients for the cells of which tissues are made. They enhance the eviction through the skin and other modes and unnecessary substances which disturb the function and health of the body. They cure the diseases and are helpful to the patients who use them. They are curative as well as palliatives. They are helpful in curing the serious diseases whether it is acute or chronic, non-surgical or surgical, for women, men, and children. They provide 100 percent cure. They cure diseases such as tuberculosis, cancer, fistula, and cancer. They can cure these diseases without operation. They cure all type of infectious diseases with certainty and are also helpful in prophylactics in the epidemics. The aforesaid homeopathic medicines for kidney stones have been found to be very effective in getting these stones out of the system. It does not mean that only these medicines are used. There are many seriously deluded people out there who are totally ignorant of medicine, healthcare and science. To a desperate patient, these quacks can seem reasonable in their pretence of medical competence. Loons make very specific health claims (even about very serious conditions), thus endangering the lives of the many gullible people who believe them. Even though this has been known and well-documented for many years, t here seems to be nobody stopping the deluded pretenders in their tracks; the public therefore remains largely unprotected from their fraudulent and harmful acts. In particular, the allegedly more reasonable end of the ‘alt med community’ does nothing to limit the harm done by such charlatans – on the contrary, whether knowingly or not, groups such as doctors of ‘integrative medicine’ lend significant support to them.